In short: Sipadan is exactly the sort of place that shouldn’t have an oil drilling operation anywhere near it. Happily, the Malaysian government came to this same conclusion, banning from Sipadan all environmentally-destructive activities—including the presence of full-time inhabitance. 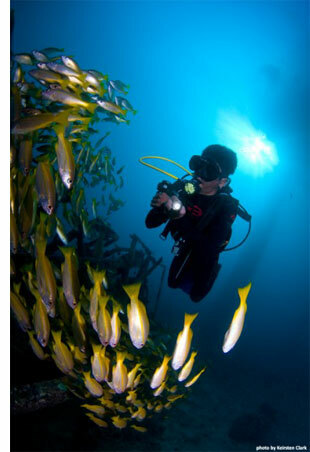 Today people need a permit to visit Sipadan or dive in its surrounding waters. Only 120 of those permits are granted each day; most of those permits go to the guests of a handful of hotels, including Seaventures Dive Resort. 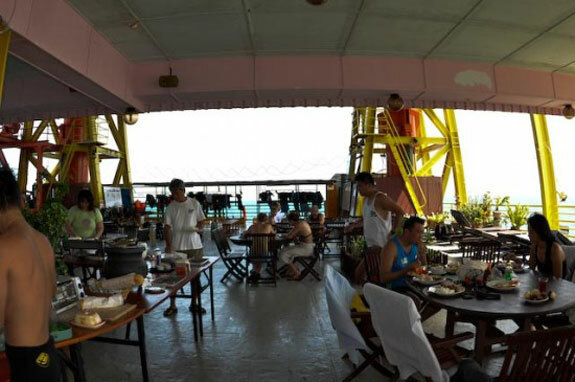 To call the Seaventures Dive Resort a “resort” is s a bit of a misnomer. The sleeping quarters, while certainly comfortable, have all the atmosphere of your grandparent’s basement guest room. The food, while tasty and plentiful, is no culinary tour de force. There’s no swimming pool, no spa, no gym—and none of the guests seem to mind. 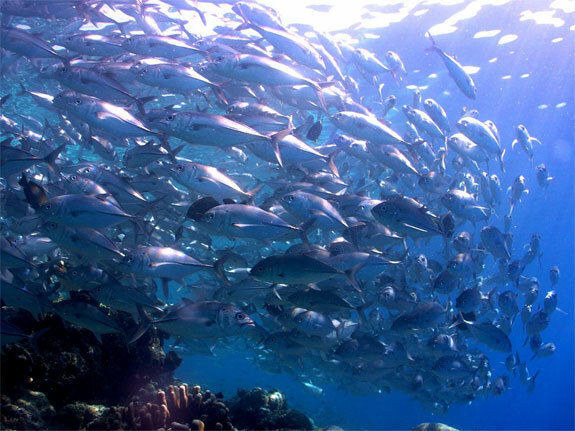 They all come to here for what most divers-in-the-know consider to be one of the world’s top five scuba spots. When not under water guests at the Seaventures hang out on the deck of this former oil rig drinking beers, swapping stories and marveling at what a beautiful place they’ve found themselves. The world arguably needs oil rigs to help supply it with energy. 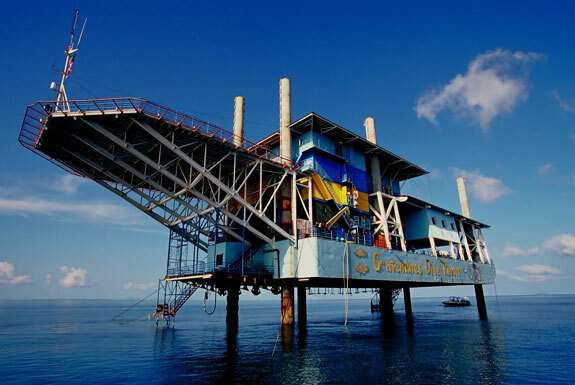 But the Seaventures Dive Resort—that’s one oil rig even the most argent environmentalist can love. Getting there: Remember how in Indiana Jones a map would chart Indy’s travels to remote locations? 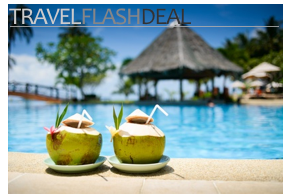 Traveling to the Seaventures Dive Resort is something like that. Most international guests fly into the Malaysian capital of Kuala Lumpur, which in itself likely involves a change of plane or two when coming from North America. Then, from KL, take either Air Asia and Malaysia Airlines to Tawau from where you hop a boat to Semporna, where you’ll spend the night before taking another boat to the oil rig resort. Contact Seaventures for more info and help making arrangements. Who cares if there is no spa, no gym, or whatever? After all, why would I need a man-made thing, when I can have the real thing? On one of those photos there’s an air conditioner, so it can’t be all that bad. I love that idea, and I think that most man-made things should eventually get recycled to a better purpose, be it an oil rig. Personally, I totally agree with you. But if there’s one thing we’ve learned doing this travel blog it is that different people care about different things. (And, really, if you think about it, it is a great thing that not everyone likes the same stuff). So we try to give the info and let people decide for themselves. There can’t be marine life nearby every oil rigs, right? This is nice recycling idea! 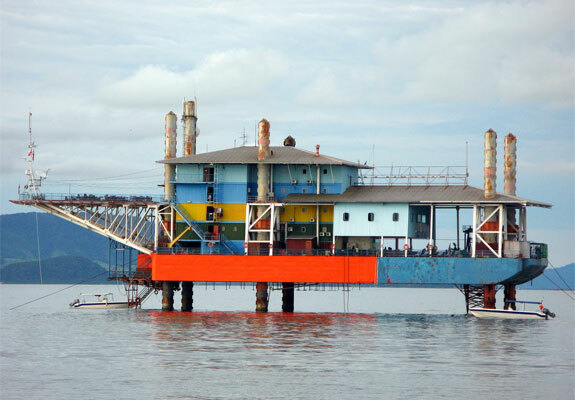 everything can be reused and put to a good use, even oil platforms (which is quire surprising)! Fantastic idea! Let’s hope more are converted this way. I’m an avid diver and love this idea, but am disturbed to know that there are 3 million oil rigs in our waters. That’s just too much potential for multiple environmental disasters.